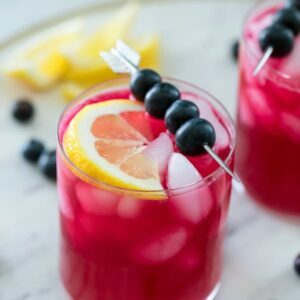 This Blackberry and Turmeric Lemonade is not only the prettiest drink around, but it’s incredibly tasty and refreshing and perfect for a backyard party. Happy September!! Which, while not the official end of summer, obviously means it’s officially pumpkin season. You know what blows my mind? Ten years ago, pumpkin spice wasn’t really a thing. Like, pumpkin made for a great pie and was sometimes an ingredient in savory dishes or some other sweet treats, but it wasn’t a wild craze that people waited all year to freak out over and enjoy. Or even though about adding to coffee. How did we get here?? And furthermore, will this same crazy phenomenon ever happen with eggnog? Or is eggnog just too polarizing to become the stuff of widespread obsessions, memes, and product takeovers? Though at this point, I’m pretty sure pumpkin spice is just as polarizing… There are so many haters out there! I’m still a lover and sometimes act a bit like a pumpkin spice hipster. Like, “I was totally one of the first people to be into pumpkin spice,” which obviously isn’t true… But it does feel like it sometimes. But today’s post isn’t even about pumpkin at all. Nope. Just because it’s September doesn’t mean I’m in full-on pumpkin mode. I’m still in summer mode… At LEAST until this Labor Day weekend is over. The weather hasn’t really been cooperating with me, but I know it’s ridiculously hot in other parts of the country and I’m still holding out hope that we’ll land in the 80s a few more times in the coming weeks. Mostly because I feel like I’m just getting started on summer food and drink. 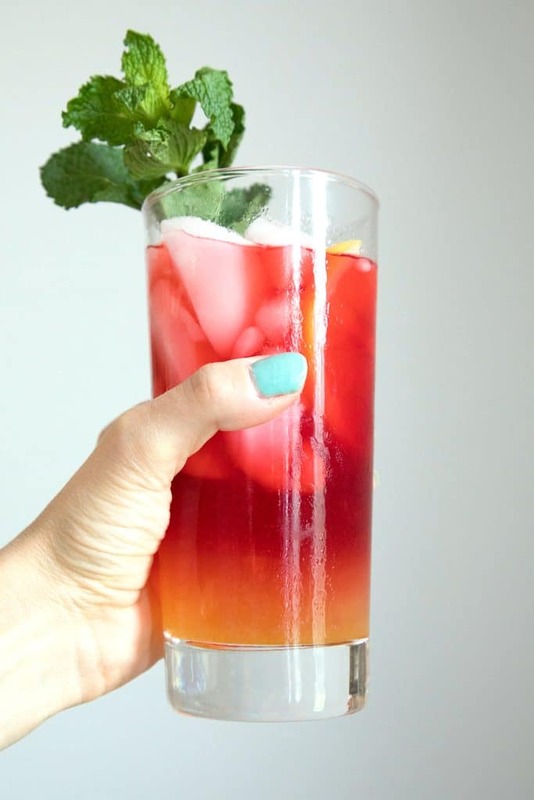 Enter this Blackberry and Turmeric Lemonade. I spotted the recipe a couple months ago in Food & Wine magazine and immediately decided to make it, just from the photos alone. I mean… check out the ombre coloring! And it was so easy to do. I’ve been a turmeric fan since I learned about all the supposed health benefits it has… Though news is now coming out that it may not be as miracle-inducing as some say, but hey, I like the way it tastes and it’s pretty, so that’s good enough for me. And it’s especially pretty when mixed into lemonade and blended with blackberry simple syrup. 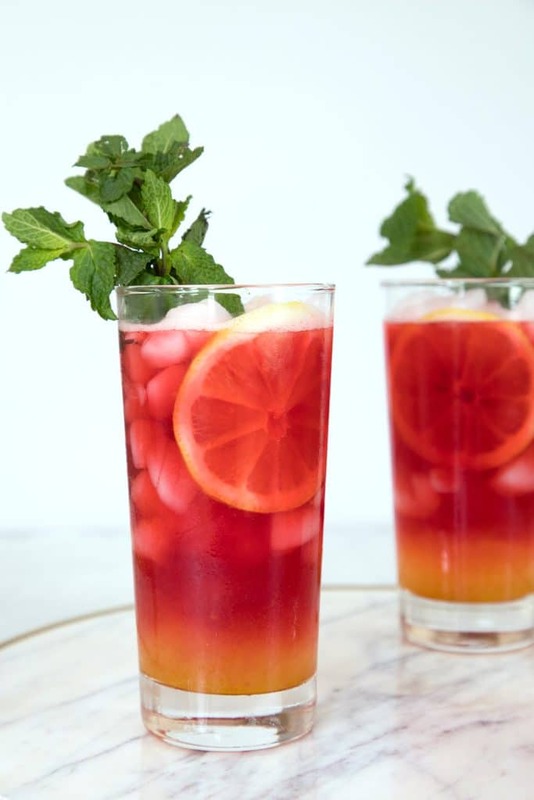 This Blackberry Turmeric Lemonade would be perfect for an end of summer party. I didn’t experiment with adding vodka to it (surprising, right? 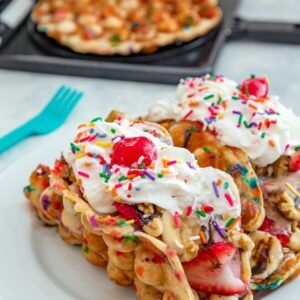 ), so I don’t know how that would change the color layering, but I do think it would be delicious and would amp your party up a bit. Nobody likes a party where all of the lemonade is alcohol-free. Trust me, I will have plenty of pumpkin and fall-themed recipes for you very shortly. But try to enjoy the remains of summer while it’s still here! Sip on some turmeric lemonade in the sunshine and take it all in. That is where you’ll find me next weekend! Are you a turmeric fan? Have you ever tried turmeric lemonade or are you into golden milk? 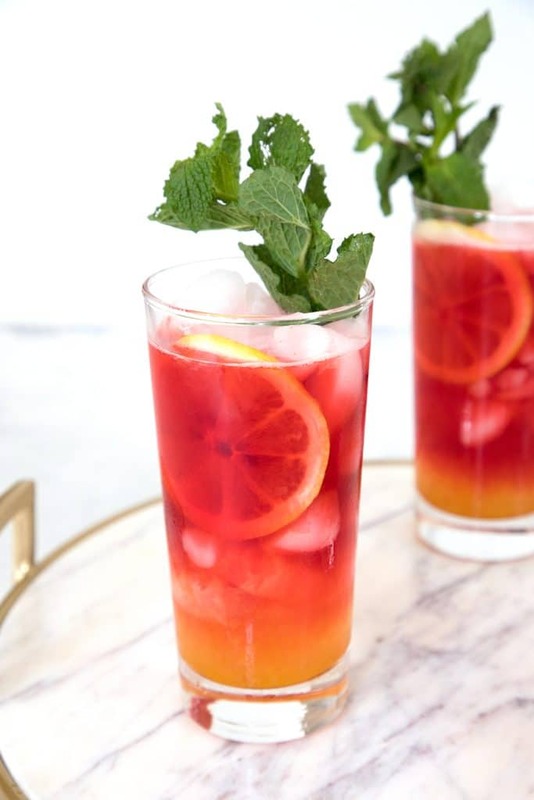 This Blackberry and Turmeric Lemonade is not only the prettiest drink around, but it's incredibly tasty and refreshing and perfect for a backyard party. Add 1/3 cup of sugar and 1/3 cup of water to a small saucepan and bring to a boil, stirring to dissolve the sugar. Lower heat to a simmer and let cook for about 5 minutes. Pour simple syrup into a heatproof quart-size jar or large container and place in fridge to chill, about 30 minutes. Mix in lemon juice, turmeric and 1 cup of water. Cover and shake to blend. Add blackberries and remaining 1/3 cup sugar and 1/2 cup water to a small saucepan and gently simmer for 10 minutes. Press berries with the back of a wooden spoon to break them up. Strain blackberry syrup through a fine mesh sieve set over a small pitcher or bowl. Cover and place in fridge to chill, about 30 minutes. Fill 4 collins glasses or other tall glasses with ice. Shake turmeric lemonade again and divide it amongst the glasses. Stir seltzer into the blackberry syrup and pour it over the lemonade. Make sure you don't stir the mixture. Garnish with lemon rounds and basil or mint, if desired and serve immediately. What an amazing way to use turmeric! I love it! My grandmother-in-law just made us turmeric eggs this morning and I was totally in love so now I’m going to be adding the awesome spice to everything, and this lemonade sounds amazing!! 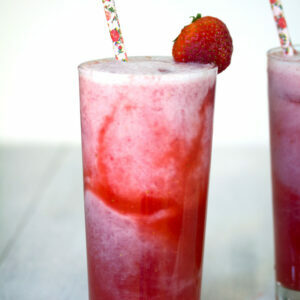 I think This drink looks pretty! It sounds so tasting and refreshing. TURMERIC is a plus! I LOVE that you added turmeric! Such a great idea. I have to try these. 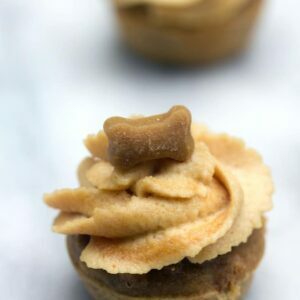 True confession: I just posted a pumpkin recipe today, Lol. 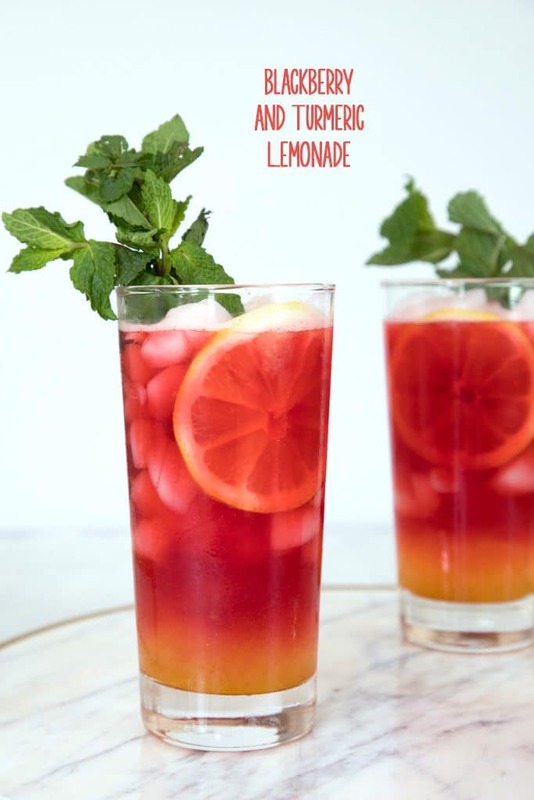 This lemonade looks delicious! I love that color. And, I swear by my turmeric supplements! This sounds so refreshing! And I love the idea of adding turmeric to lemonade. I’ll definitely try it with some gin (I’m not a huge vodka fan) this weekend. 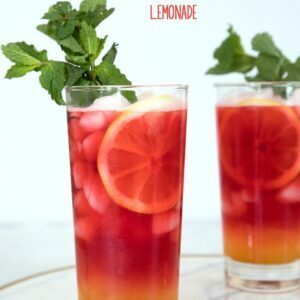 September marks the start of spring, here in South Africa, so this looks like a perfect lemonade to drink during my favourite season. Looks really refreshing and cool. Thank you for a great recipe. PS: Looooove the colour of your nailpolish too!!!? This is such a pretty drink! I’ve never tried turmeric before, but I’ve heard a lot about the benefits of it. Love that you used blackberries, too! I’m trying to get more tumeric in my diet—this looks SO PRETTY! Maybe I’ll skip Golden Milk and try this instead. I love turmeric tea but your turmeric lemonade sounds even more delicious!